9 Things To Do This August! Whats better than an excuse to go to the beach?! Squeezing in that one last beach trip-even if it’s just a day trip-in before school starts is a necessity. Head on down to Ocean City between August 9th and August 13th for a trip filled with sun, sand, and art! For these 5 days each summer, artists fill the streets of Ocean City painting. You can watch and even purchase something right off the easel! Talk about a great souvenir! One of the greatest parts of Maryland is the abundance of water and water activities. Naptown residents know what’s up! Take a boat tour, go paddleboarding (our personal favorite! ), rent a jetski…the options are endless. Explore them here! Enjoy a dinner in Downtown Annapolis and then grab a seat to watch 150 crews compete in midweek races that happen every Wednesday night throughout August. They’ll finish their race in front of the Annapolis Yacht Club so be ready! No wonder Annapolis is America’s Sailing Capital! BBQ is one of Summer’s finest foods. But don’t eat just any BBQ, come to the Maryland BBQ Bash in Bel Air August 11th-12th! This barbecue themed festival features a beer and wine garden, crafters, vendors, live music and of course BBQ. Come see who wins the 2017 Maryland State BBQ Championship! 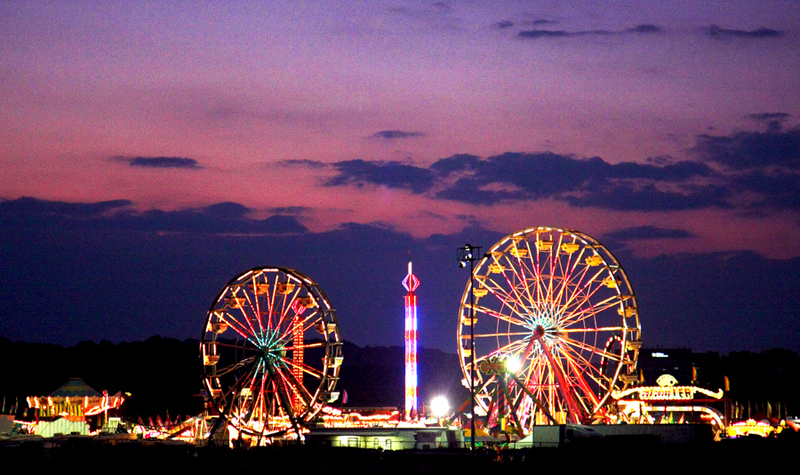 Maryland has so many different fairs and festivals-probably tons you didn’t even know about! There’s a bunch going on throughout August, try to go to at least one! Check out the dates and locations here! There are 16 home games in August so head on over to Camden Yards to support one of our favorite birds! Check out the schedule here. 7. Watch the 2017 Solar Eclipse! Yep, that’s right. On August 21, 2017 people across America will be able to see a total solar eclipse. That is when the the sun completely disappears behind the moon, an amazing site to see so don’t miss it!! 8. Eat, Drink, Be Merry! There are so many different food festivals and events in Maryland this Summer. What better way to spend the day than with a lot of good food? Find a complete list here! And let me a hear a big ol’ sigh for the last item on this list…. I know, I know. Why would I put that buzz kill on this list of fun activities? The dreaded time has come, it’s time to get your kiddos-and your self, let’s face it, you’re not ready either-for another year of school. But back-to-school shopping can be fun and doesn’t have to break the bank. Here’s some tips for saving money shopping for school. Here’s some more! I feel your pain….. here’s even more. Have an amazing August, we hope you try out a few items on this list! Previous PostPrevious 5 Step Guide to Cleaning Up Your Home & Your Life!